Present...not sure she would get one single present looking at her Santa visit this year. LOL! 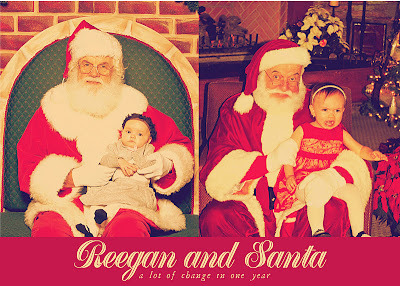 But every kid has got to have one screaming Santa picture...right?! Haha! Love this one of her and the big guy!